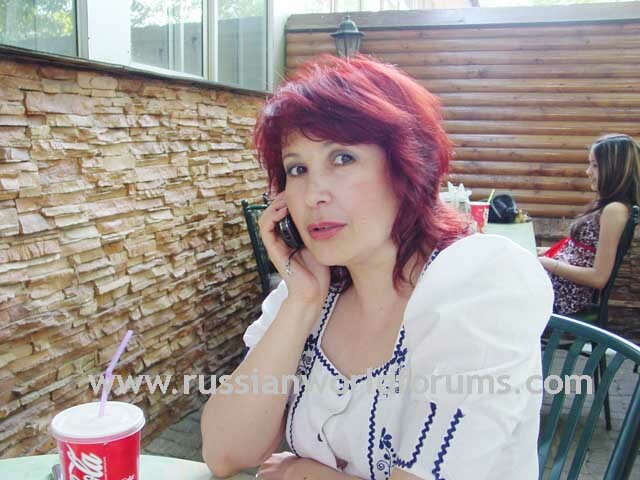 Russian World Forums • View topic - Do you need some courage to actually find a Russian Woman? Do you need some courage to actually find a Russian Woman? Post subject: Do you need some courage to actually find a Russian Woman? It is true that, when a man first ponders the idea of travelling to the other side of the world, into the Former Soviet Union in order to look for a partner that certain doubts will certainly creep into his thinking. Am I a TOTAL LOSER?! Over the years on these boards, I have talked to many men, from many countries, who secretly (as if they were ashamed of it) wanted to find a beautiful Russian Woman to get married to. Many of these men were doing disservice to themselves, because they were very concerned about what their family, friends or colleagues might think if they decided to go out and find a beautiful Russian woman with whom were indenting to spent their lives together. You will probably be surprised, if I told you, that a large percentage of these men who actually travelled to Russia/FSU for this purpose often lied about it to their friends and close families. Of course I understand that there were some important reasons for keeping quiet about their plans and intentions. Unfortunately many of these men are simply too frighten to cast aside the often ignorant opinions of those around them when it comes to making the MOST IMPORTANT DECISION of their lives. Seriously I understand the fear they have, especially since it’s the fear of the unknown! Stepping off, an Aeroflot flight, for the first time in SFO and hearing nothing but Russian being spoken it must have been for some, a completely surreal experience at the time. Talking from personal experience, don’t forget I was in the travel business most of my life and have travelled extensively, I knew the only way I was going to change my life style for the better and find the woman, I was looking for, was literally to get my backside on a flight and go over there to meet some of the women I was talking to already, hoping to find the right one. Yes, I know first hand that this is NOT EASY, but neither is getting anything of lasting value in your life. Furthermore after getting through the various early mistakes I made, I come to realise that there was no turning back and ultimately I would find what I was searching for. So if you Gentlemen are looking to become a member of our exclusive club, be one of “The Few, Proud and Married to a beautiful Russian woman”, then stop waiting and procrastinating for ever, letting life to go by you, then be a Real man and take the courage, make a move and most probably you will get lucky with so many beautiful Russian women available over there. At some point you must ignore all of your detractors and step inside the arena, get ready for the consequences and be damned. BTW most of our members here are married to beautiful Russian/FSU women, so why not you too? I did and as it happens, when I was ready to give up my efforts, I met the beautiful young woman below, who is my wife now and that was some 4 plus years ago!